They say that great products are based on real innovation – and that innovation begins with research and development (R&D). All of which may explain how Shell has remained the world’s No 1 industrial lubricants company for eight consecutive years now – based on an annual study by research firm Kline & Co. Yet the history goes back much further. Shell first entered the petrochemicals sector in the 1930s and has grown into a business known worldwide for its products, innovation, customer focus, supply chain and long-term partnerships. One such business relationship is almost 60 years old. In Saudi Arabia, Shell operates in collaboration with the Al Jomaih group – through a joint-venture known as Al Jomaih and Shell Lubricating Oil Company (Josloc). 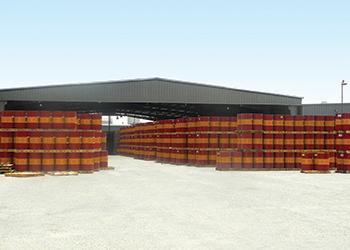 Across the kingdom, the company markets and sells Shell lubricants now produced at its state-of-the-art blending plant in Riyadh – where production began in 1985. The advanced products blended there didn’t become market-leaders by chance. Shell’s reputation for groundbreaking technology rests on the capabilities of its technical and engineering staff and on its global investment of $1.3 billion a year in R&D – the highest by any international oil company. The Josloc plant in Riyadh is also home to one of the many Shell laboratories around the world, where experts in lubricant science ensure that locally blended products benefit from the world-class technology that Shell has developed. But if people are the driving force, it is technical innovation that keeps Shell and Josloc at the leading edge. This doesn’t mean white-coated scientists indulging in innovation for its own sake. Instead, all efforts are directed towards finding solutions to the many issues that clients face – everything from energy efficiency and environmental emissions, to the importance of minimising downtime and controlling operational costs. Shell is no stranger to technical challenges. For example, it has taken the global lead in developing gas-to-liquids (GTL) technology – which, among other things, enables motor oil to be created from natural gas. It’s a technique that’s already been applied to oils sold in the kingdom, many of which benefit from the cleansing and protection advantages of Shell PurePlus Technology. But developing the world’s most advanced lubricants is not enough. What matters is how they’re applied to meet the everyday challenges facing industry. Josloc works closely with major industrial clients to fully understand their requirements. And it meets those needs with a large number of world-class lubricant product lines – in a range of pack sizes from 1l and 4l, up to the Pail (20l) and the Drum (209l). Shell’s lubricant products are: Argina, Corena, Diala, Gadinia, Gadus, Helix, Mysella, Omala, Rimula, Spirax, Tellus and Turbo. These world-class brands range from heavy-duty motor oils and passenger car oils, to industrial engine oils, hydraulic fluids and long-life greases. Josloc’s customer-facing technical teams have an in-depth knowledge of product specifications and expert problem-solving skills. Shell products are tested and proven via collaboration with major companies and manufacturers, for many of whom Shell has developed specific customised oils and lubricants. Genuine OEM partnerships have been developed with – among others – Ferrari, Maserati, Hyundai, Honda, Daimler and Ducati. And, in less high-profile industrial fields, with Komatsu, Warstila, ZF, Schaeffler, and a number of leading Chinese original equipment manufacturers (OEMs). In all, Shell has more than 3,000 OEM recommendations and approvals across its product range. The most recent development in Shell’s long-running partnership with Hyundai, in Saudi Arabia and worldwide, has been the design and launch of Shell Helix Ultra and HX5 AH – genuine and exclusive motor oils for Hyundai engines and the only oil recommended by the South Korean car giant. Within Saudi Arabia specifically, Josloc’s business-to-business (B2B) customer-base extends across a wide range of industrial sectors: from automotive to fleets, from manufacturing to construction, from power generation to oil and gas. In the consumer sector (B2C), Josloc can boast the largest market-share in the passenger car motor oils category – thanks to Shell Super Plus – as well as in the heavy duty diesel engine oil category, with the Rotella range. Newly launched products available from Josloc include Shell Helix (Ultra, HX7 and HX, HX3) for passenger cars, and Rimula RX4 for diesel engines. The two new ranges are designed to improve performance, both for individual consumers and for fleet operators. The company also offers a suite of lubricant-related consultancy tools – some B2B, others B2C. Shell LubeAdvisor helps customers use the right oil at the right time, thanks to trained staff on helpdesks and field-based lubricants engineers. Shell LubeAnalyst is an early warning system that health-checks lubricants and machinery for potential failures by monitoring oil condition. The Shell LubeCoach service offers team coaching to improve performance. Shell LubeVideoCheck is a sophisticated fibre-optic tool that allows inspection of engines from the inside, without dismantling. And Shell LubeMatch is a free online service that helps anyone find the right lubricant for their vehicle. Indeed, drivers in Riyadh can already benefit from a higher level of expertise at the oil shop. There, Josloc recently launched the first five in what will become a Kingdom-wide chain of 500 Shell Helix Fast Lube Stations – by 2020. It’s all about bringing specialist knowledge and help directly into the retail arena. These and other technical services add up to an impressive package of customer support. So if you’re still wondering why over 3,000 OEMs have formed partnerships with Shell – and why Josloc leads the market in Saudi Arabia – think technical support, world-class research, advanced products and, above all, an innate belief in the power of innovation.